* An exclusive, subject-based topical chain reference system. * Over 100 boxed factual articles and lists. 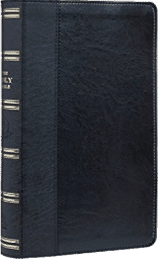 * Expanded introductions with detailed outlines of each book. * An expanded Subject index. 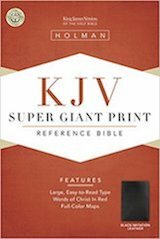 * Study not biblical references are in "chapter-and-verse" format. 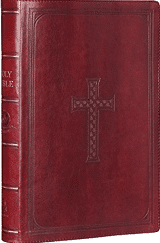 * Side-column references are grouped by chapter and verse. * Over 550 in-text definitions of proper nouns for people and place names. * Nearly 70 in-text black and white maps and charts. 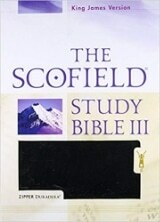 * In-text articles of nearly 250 notes crucial to understanding the Scofield®. * Indexes to Proper Nouns, Chain References, and Subjects. 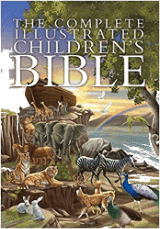 * 16 pages of accurate, full color New Oxford Bible Maps (with index of places and natural features).